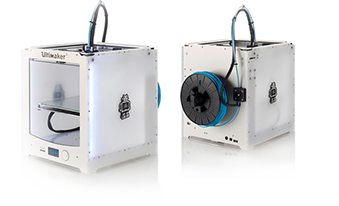 The Ultimaker is the new kid on the block for 3D printing which officially started selling in May 2011. In just the first months, more than thousand Ultimakers were sold to makers and tinkerers across the world! © 2015 DISC bv and its licensors. All rights reserved. All other names, brands and products are the property of their respective owners.